Scarves, Hats, Gloves & More from $5.50, up to 71% Off! 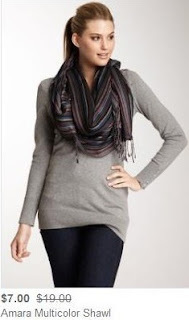 Shiraleah Accessories is featured on HauteLook today, selling a nice selection of scarves, gloves, hats and more up to 71% off and starting at just $5.50! There are a bunch of nice items that are $10 or less, with the most expensive items being $28.00.